Brooklyn-based graffiti artist Stash in association with Levi’s and Medicom Toy present the Levi’s × Stash x Medicom Toy Denim & Bearbrick Pack. 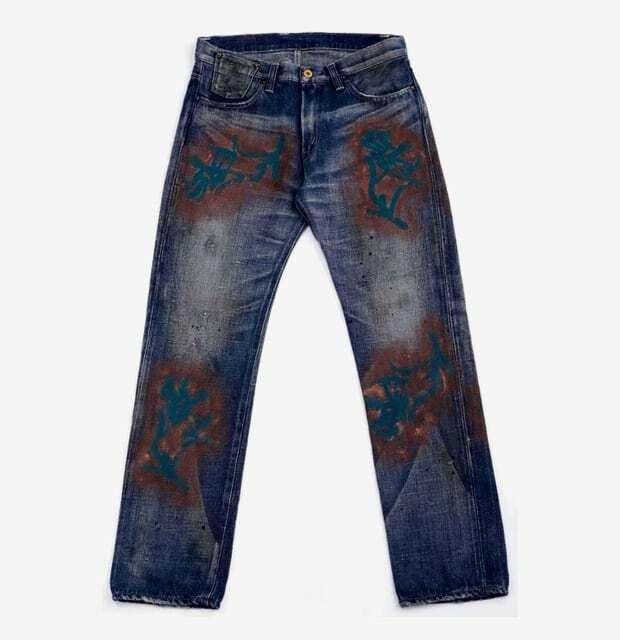 A copper colored oxidized theme and heavy fading seen is used with blue graffiti accents on the front and back of the jean. Levi’s signature coin pocket is modified a bit with the opening along the waist. Medicom Toy provided also has provided a rust effect giving the Bearbrick a “weathered” look. The Levi’s × Stash x Medicom Toy Bearbrick Pack will launch this week at select retailers.